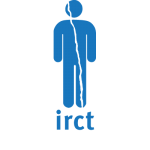 All member centers of the International Rehabilitation Council for Torture Victims (IRCT) work to ensure that victims of torture have access to appropriate health-based torture rehabilitation services. It is not only in countries where torture takes place that the victims need this support. Today we see an increasing number of asylum-seekers and refugees who are victims of torture but struggle to access the appropriate medical, psychological or legal and social assistance that would constitute fair and humane treatment during the asylum procedure. The IRCT’s members in the three regions covered in this report (Europe, North America and Australia and New Zealand) share a main focus on the rehabilitation of asylum-seekers and refugees. This report is based on the work of these experts who work directly with asylum-seekers and refugees to provide them with medical and psychological support, access to medico-legal reports and legal and social assistance during the asylum procedure. In addition, the members provide the rehabilitative treatment necessary to enable asylum-seekers and refugees to integrate and function in the host country where they have sought refuge.